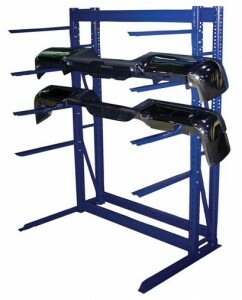 Deluxe Systems represents the Borroughs line of specialty Automotive Storage Racks. Please contact us for price and availability. 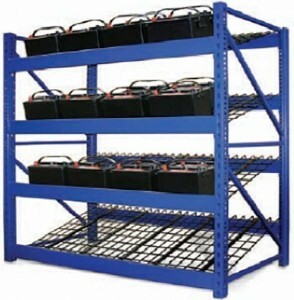 Borroughs lire Racks are made of Rivet-Span construction, and require no nuts or bolts for assembly. 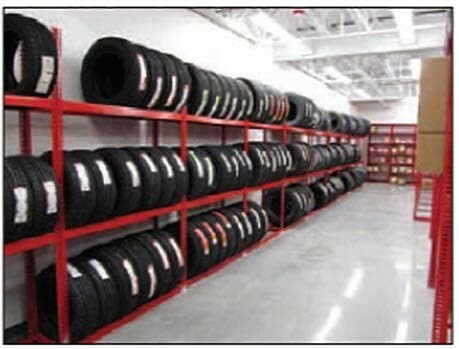 tires rest on angle beam. keeping them securely in place. Available in single or double-entry units. 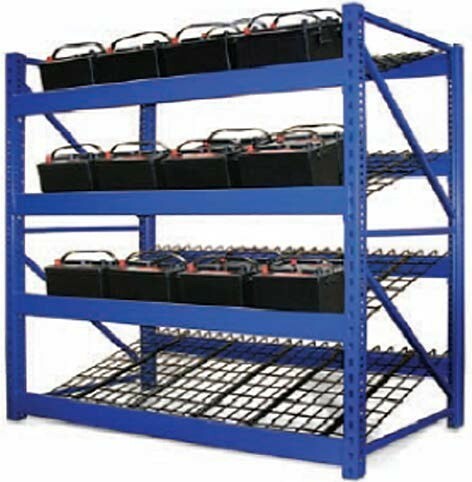 Borroughs gravity-fed Battery Racks offer four levels of battery storage on angled mesh decking, with no rollers to break or seize. A corrosion resistant coating ensures longevity. Borroughs Bumper Racks save floor space by storing bumpers and bumper covers vertically. Elevated arms with 24″ depth adjust in 1″ vertical increments. Made from heavy duty 16 gauge steel. Anti-tip angle iron base can be easily anchored to the floor for extra stability.